Maintaining good sleep is an essential part of improving and caring for your general health. The physicians at Pulmonary Associates have been recognized as local and national leaders in the field of Sleep Disorders Medicine. We have a strong commitment to helping you improve your sleep and overall health through better sleep. Dr. Bernard Levine established the first Sleep Disorders Center in Arizona. Drs. David Baratz, Stephen Anthony, and Andreas Kyprianou are all board certified Sleep Disorders Medicine Physicians that can help you improve your sleep. Pulmonary Associates provides diagnostic testing and therapeutic intervention for patients with Obstructive Sleep Apnea, Central Sleep Apnea, Narcolepsy, Sleepwalking, Somnambulism, Restless Leg Syndrome, and Insomnia. We are leaders in developing new pharmacological therapies and mechanical devices to improve your sleep. 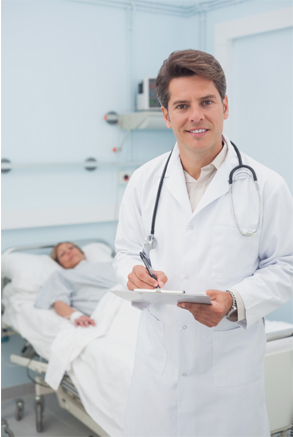 We are experts at treating difficult cases of sleep apnea. In conjunction with SleepMed, a national sleep disorders testing company, we provide polysomnographic (sleep study) testing at 6 sleep centers in Arizona including Central Phoenix, northwest Phoenix, Paradise Valley, Gilbert, Phoenix Baptist Hospital, Phoenix Children’s Hospital, and Payson. Our physicians are dedicated to improving your health by treating your sleep disorders.